We are excited to be heading back to USA in a few weeks. We’ll be spending December and March in Florida and January and February in California. God has provided accommodation and vehicles in both locations! Pray for our time in Panama City, FL. We are heading into an area that is hurting and devastated following hurricane Michael. We will be helping Suzy’s mum and anyone else in need as best we can. 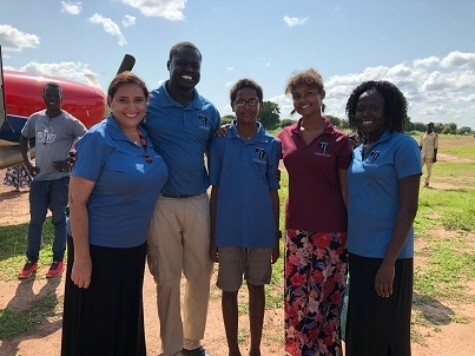 It is exciting to see what God is doing here in Tonj and we are looking forward to sharing our stories with as many of you as possible. If you have been following us for a while and love what God is doing through us in South Sudan, then we need your help. Prayerfully consider hosting a small gathering in your home and inviting friends, family and neighbors for a meet and greet! We could also share at your home fellowship, bible study, small group or church. Introductions from people who know and trust us are so valuable and make the most effective long-term partnerships. Let me know through email if God is leading you in that direction. We’d also love to just catch up, share a meal or coffee and hang out with you, so please get in touch as our time will be short. We will be sharing our movement while in the USA through Facebook and Instagram. The IDAT Soccer Cup Tournament was a huge success and after a month of games it ended with a massive turn out for the final match. 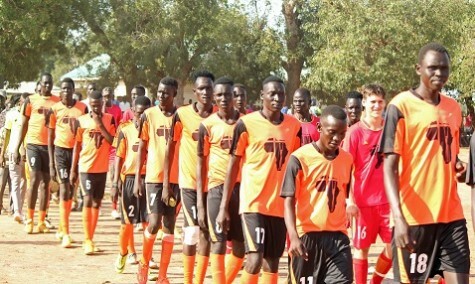 The community spirit was amazing as the entire town showed up to watch Godzilla vs. Tonj United. This Tournament gave us an open door to minister to the hearts of the young people of Tonj who love sport. We thank God for the 18 evangelistic team members from Calvary Chapel Tonj that made this tournament a successful outreach. They worked tirelessly setting up at every match, distributing tracts and bibles, sharing the gospel one to one with the crowd and following up with any new believers. Throughout the tournament we shared some biblical life skills lessons on a live radio talk show hosted by the Don Bosco FM radio. These lessons use soccer coaching skills and biblical truths which can be applied and improve lives. We did 12 shows, with a live call in option, reaching more than 5,000 people every show, discussing important topics like team unity, the ultimate ‘goal of life’(following Jesus), serving one another and so on. Every lesson clearly presented the gospel message and the call-in feedback was very positive. More than 20,000 people heard the gospel message. We had over 500 people who made decisions for Jesus Christ. We gave out 8000 gospel tracts. 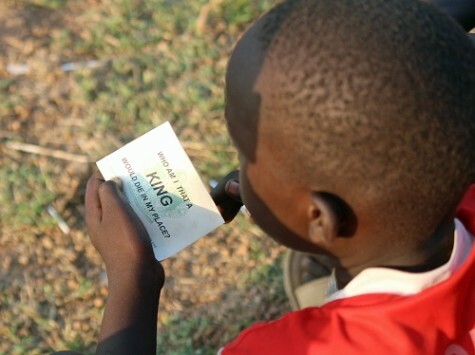 We gave away over 1,000 New Believer’s bibles, Christian literatures, audio messages and video bible stories. More than 5,000 people were reached with gospel teaching over the radio. Already we are being asked to host another tournament next year. So if you love Jesus and love soccer, pray about coming and helping with this life changing event! What an amazing blessing and work done via soccer! Love the pictures. God bless the many, many servants who made the tournament possible! May there be innumerable eternal fruit harvested. Wow! It is amazing to see what God is doing in Tonj through His faithful servants! Amazing numbers! What a great work, well done!